An exciting day today as the engineer from Bibliotheca came to set up the Smartstock device and fix a few other minor issues and it was a very successful day. The Smartstock device is a handheld scanner that you can upload with a data file and then use to do stock checks, search for books for weeding and do some shelf searching for unexpected items. 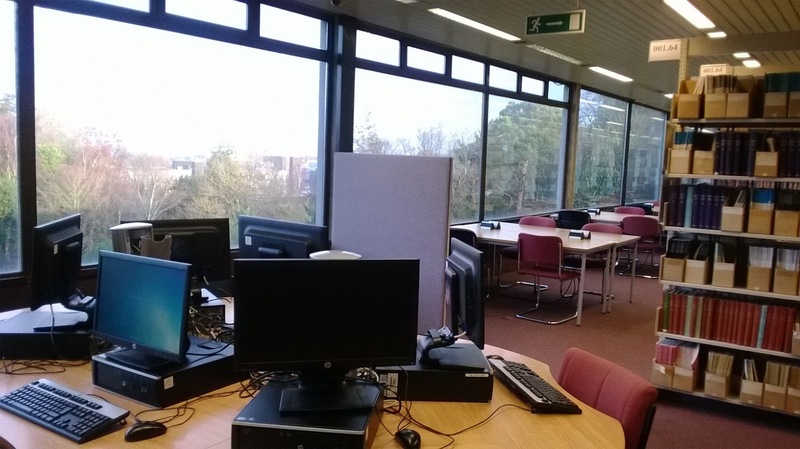 All of the books in our library at Heriot-Watt University were tagged with RFID tags last summer and we have been using the Self Service kiosks for circulation and RFID reader pads on the service desk. The tags are used for security too with gates /antennae at the library entrance. The Smartstock device can be uploaded with a file of items that you want to search for eg when weeding and then you just scan the shelves and it beeps when it locates the item. It has a display which shows the title and barcode details. 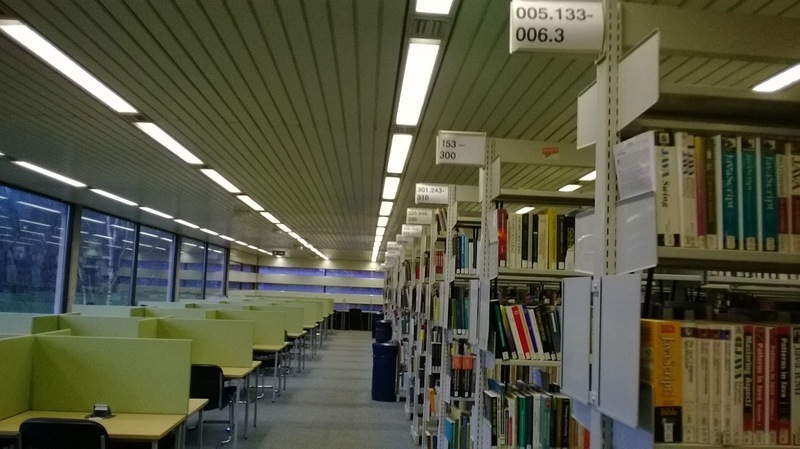 It can also be used to scan shelves of books to highlight items that are out of place although this is unexpected items rather than shelf tidying. Also it can be used for stock taking whereby you scan the shelves and then upload the data to the LMS as a record of the stock you have. It all worked very well during the set up and testing. Quite a few members of staff received training so I'm hoping that we can start using it in the next few days. The next thing I want to investigate is the iPod hardware / software that Bibliotheca have so you can do basic circulation functions via wifi via an iPod - I've not actually seen it but I know they do do it. It's that time of year when it's day to day tasks and activities that keep everyone busy. Mid-semester, everyone into a rhythm of what they are meant to be doing and much to get done. 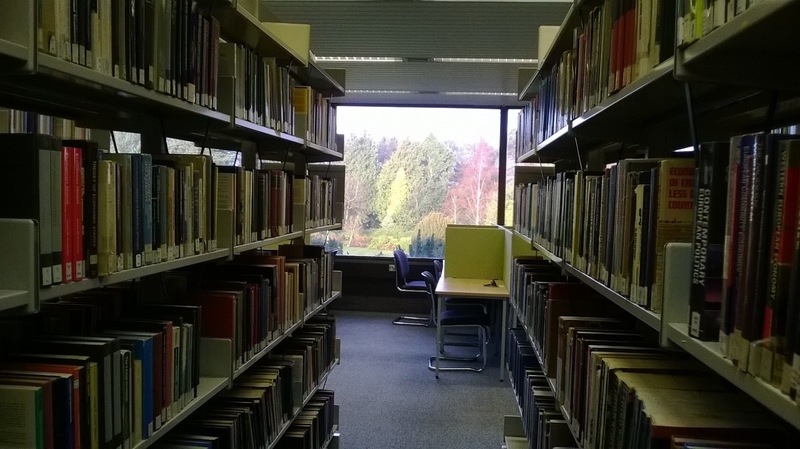 Library opening time continuing at 8.30 until end of March when we will tip into 24/7 opening - it's not very busy at 8.30 but I think it will get more so as the semester continues so I'll keep promoting it. 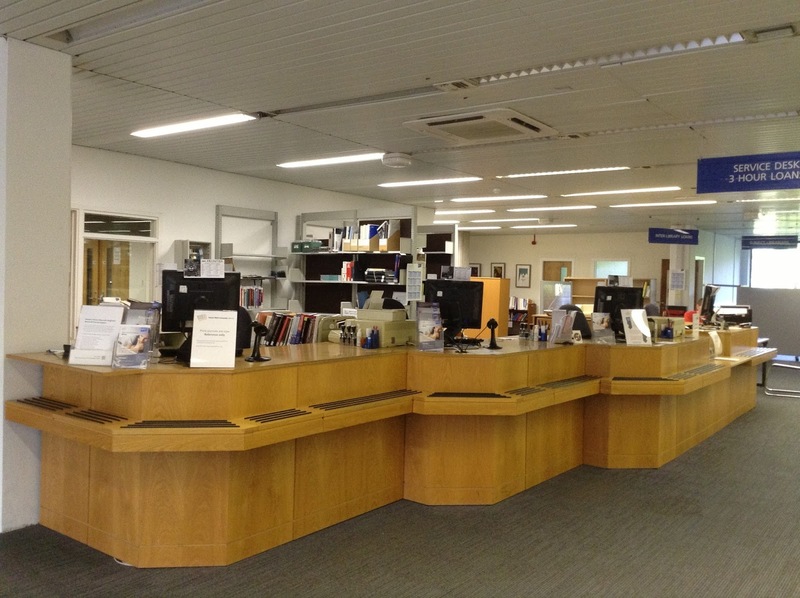 We're having a bit of a campaign this week to encourage students to use the self-service machines for issuing and returning books so that the staff on the service desk are free to deal with enquiries and more complicated matters. It requires effort to change habits both students and staff but there's no reason that the self-service can't be used for straightforward circulation to free up staff resource. We have lots of extra tasks to do so it's not a case of staff being deprived of things to do and students find the self service kiosks easy to use. We have a number of service improvement groups starting up which give staff the chance to be involved in a wide variety of initiatives and extra areas of interest. These include communications, facilities, collections, skills development, VLE etc. Staff are involved in planning their PDRs so the service development group participation is a useful link. Weeding/stock relegation is continuing but we're finding various bottle necks in the process when we run out of space to store the books before they're checked and packed up. We're combining weeding with shelving and shelf tidying to spread the load more evenly. Meetings happening about various things such as cleaning in the library, 24/7 opening and the inevitable staffing issues. I've also been spending more time on IT Helpdesk matters and we've been discussing contingency staffing and training. Also starting to draw up plans for consistent procedures for the Helpdesk system usage as we have more people involved all the time. ......talking and discussing and reaching an understanding hopefully while not forgetting that we are there to provide a service. The advantage of working in front line or first line services is that you are, by default, interacting with students, staff, visitors and other customers which keeps it in perspective. For me, as a manager, it is important not to lose sight of the day to day interactions while stepping back enough to manage effectively. Nevertheless it is that time of year for PDRs (Performance and Development Review). Although I have quite a bit of experience at carrying out appraisals and performance reviews, I went along to the reviewer training. This was quite useful as it covered some of the procedures and some scenarios which could occur. It was a good opportunity to meet people from other departments across the university and share experiences. The HR partner doing the training was good and made it quite interesting for what is essentially a process that should be very rewarding but often not looked forward to by anyone. She did emphasise that the PDR meeting is 'all about the conversation' and that it is the opportunity for reviewees to have their say about the last year and their plans for the future year. I'm still spending time getting to know the members of my team, I know it takes time and I remember saying at my interview that it takes two years to build a team so that they work effectively as a unit or unified group. I'm not sure whether it is easier to start with a new team or change an existing team. This week and last week I've been concentrating more on the IT Helpdesk staff in my team and discussing with them the changes and developments that we need to make. I'm hoping the conversation helps us to move forward.